It is the Wednesday, so that means it's time for another edition of Daily Turismo's weekly game of anti-slug bug (which is played by punching anyone who suggests playing slug bug) also known as Mid Week Match-Up! Last week we found the best Horrorods in time for Halloween, but it is time for healing...so...bring on some suggestions for a first project car. Budget should be kept low (less than $8k) and the focus should be on a car that a young person (or old person who is new to cars) can learn about wrenching. Doesn't need to be a car that needs a rotisserie restoration, and something that runs is preferred, perhaps just old enough it will break down and you'll need to learn how to fix it. A few years ago this would have been an easy choice, tell the Ford guy to pickup a Mustang or Falcon and tell the Chevy guy to look for a Nova II or Camaro. Unfortunately, prices for the popular cars have skyrocketed and you can't even find a decent 65-68 notchback Mustang for cheap. 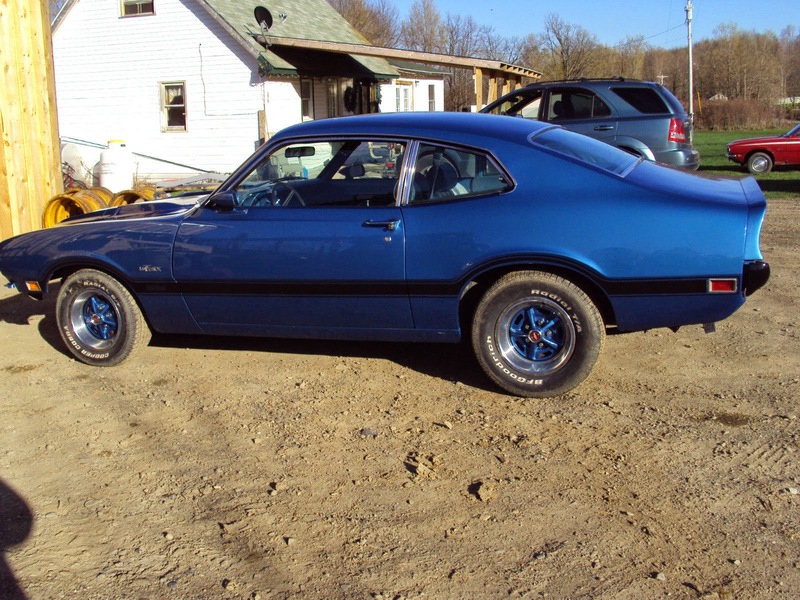 To get a decent running car, you need to dig deeper into the OE catalog and pickup something strange, like this 1970 Ford Maverick offered for $7,000 buy-it-now on eBay, located in Sharon Springs, NY. 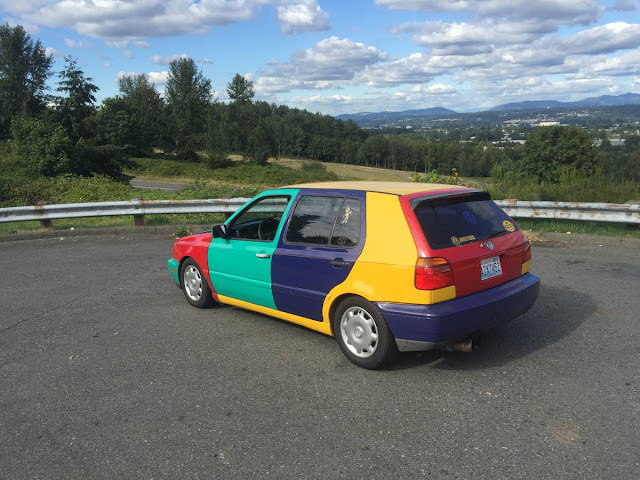 Its got a 302 cubic inch V8 up front, the paint is done and the interior isn't totally thrashed, this car just needs some basic wrenching to keep it on the road. See a better project car? Comments below. S30 Datsun (though I am a bit biased). This one needs some electrical sorting, but after rewiring most of my dash harness 2 weekends ago, it isn't that difficult. Mk1 Rabbit or Mk2 Golf. Preferably a GTI . The answer is always Volvo 240. Duh. They are like blank slate Lego cars ready and able to be built into anything you want. Any MGA or MGB. One will learn EVERYTHING, from rust repair to electrical fires, what "jointing compound" is, that some things were manufactured to be re-built and repaired, that some things were built really badly, that oil rarely stays where it's put in an English car and best of all, how to pick the best spot to break down. Some of the best stories I heard were tow truck drivers' lives. Or, get any old econobox and re-chip it, get a set of wheels and you're done. True - MGBs or Triumph Spitfires that need some basic wrenching (and possibly welding!) go for $3-8k all day long. 2MHD: I love the dichotomy of your original statement. Get an MGA or any old econobox. It is the equivalent if someone asked you where to live and you said "get a Victorian cottage with a thatched roof in the outskirts of London OR just any house in any major city in the world." Old school. Model A, T, something old and cool. The enthusiasts for these cars are waning and I think it may be the best way to learn more about cars. Nice screen name---big Fletch fan here too. VW Type 3 Squareback, oooh! '63 Fairlane with his kid's bad bodywork? Man, you got time on your hands. me, right now I'm sitting here at an overpriced island resort for a couple days and for some reason the female display is...well, a whole chrome shop full of '55 Buicks can't quite measure up. Some really good projects listed above. You guys have too much free time or a way faster method of combing through c-list. I'll take the Maverick, the Sprite, and the '56 Olds, but the re-chroming will run over $8k on that one. 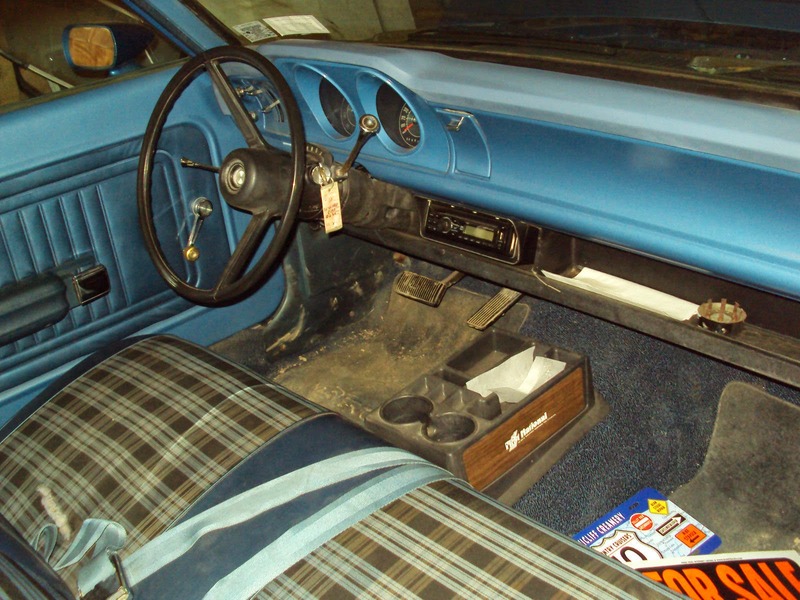 The 75-79 fourth generation Nova has a nice clean look to it and is findable with a small-block Chevrolet V8. It's one of the less offensive of the early bumper cars, I'm particularly fond of the four-door which is so blatantly BMW-derivative it's even got a perfect Hofmeister kink. Front suspension is 2G Camaro, rear mostly retained from the previous Nova/1G Camaro, GM. stuffed the Z28 parts of the day into it to make a cop car, probably got even more track time in its development than the Z.
I'd further note that for the cop sedans GM did a different back seat that mostly did away with the pretense of three across rear seating, in exchange for which you got knee room for two six foot adults.